When seven-year old Bret Samson received Piotr Tchaikovsky’s The Nutcracker cd as a present, she immediately began dancing around the house. As the music played on, her mom felt compelled to ask Bret if she wanted to take ballet lessons. “I was such a shy kid,” says Bret. “Up until that moment, I did not want to take any lessons – for anything.” But ballet was different. Soon Bret was dancing in her Wisconsin hometown at a small studio called Lake Shore Dance, her second home for many years to come. 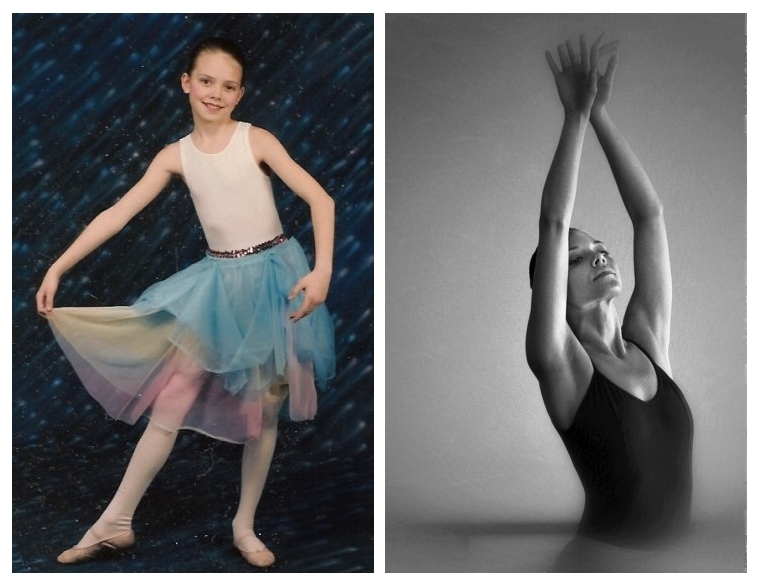 While competitive dance in a variety of styles was her interest throughout childhood, Bret was lured by the beauty of classical ballet which eventually became her biggest passion. Bret studied in New York City for a time while still maintaining her home in Wisconsin. We wondered how something like that would work. So Bret explained it to us. The creative solution Bret came up with: “I requested flights that had layovers in New York that were long enough for me to take two classes each day.” During that time, Bret danced with some incredible teachers including Nancy Bielski, Elena Kunikova, Christian Holder, and David Howard. “If I was working an overnight flight, I would often give myself a barre in the galley of the plane,” says Bret. When she got to her hotel, she would usually request a handicapped room so she had more space in the bathroom to do pointe work. “On my days off, I would take the 7 a.m. flight to New York to take two or three classes, grab a quick bite to eat, and then head back to the airport,” Bret says. “It was quite a commute from the airport to Manhattan via subway, so I would read a lot of ballet books, articles, reviews, programs, and magazines.” She usually made it home to Wisconsin just before midnight. Bret’s non-traditional and resourceful path to ballet eventually earned her a spot as a professional dancer with American Midwest Ballet, where she returns for her third season. While her own passion and ingenuity helped Bret accomplish her dream of dancing, her inspiration is from those who came before her. Some of Bret’s favorite dancers today are Wendy Whelan, Sylvie Guillem, and Vladimir Malakhov. “I also really love the works of choreographers Val Caniparoli and Trey McIntyre,” she adds.